For Christmas, my girlfriend and I got these 2 early Tom Hanks family/comedy DVDs. Splash for her since she likes mermaids and romance and Big for me since I need to grow up. I’ll just say straight up that both these films are immensely enjoyable. They also reinforce the love I have for Tom Hanks. This was my first time watching Splash, the movie about a man (Hanks) who unknowingly meets a mermaid (who has the ability to hide her fins but can’t hide the fact that she knows nothing about human life) and they fall in love only to eventually have her secret be discovered and exploited by a marine biologist. Along with Hanks, this film was hilarious thanks to the inclusion of SCTV Canadian Geniuses Eugene Levy (the marine biologist) and John Candy (Hanks’ lewd brother). 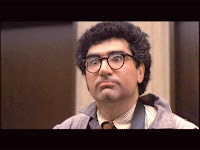 Everything that Levy does or says makes me laugh since he gets so aggravated in this movie. The movie itself is endearing and could be described as Free Willy meets The Little Mermaid. Fun fact: Director Ron Howard would team up with Hanks 3 more times on Apollo 13, The DaVinci Code and Angels and Demons. In the same vein as other kid-wish-fulfillment movies like Richie Rich or Blank Cheque where a kid is granted a wish only to find that he got more than he bargained for, except that Big is actually good movie. First of all, Tom Hanks is fantastic in his first ever oscar nomination; only to lose the award to Dustin Hoffman in Rain Man (rightfully so). The plot centers around a kid who wishes to be bigger (or look older) and so he wakes up in the body of a young man (Hanks). In filming Big, the director had a kid act out Hanks’ role in each scene so Tom could see how a kid would handle each situation. 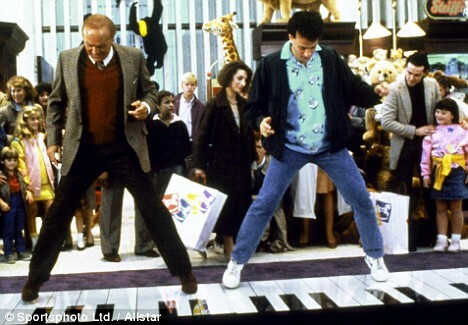 The stand out moment of the film is the piano scene where he plays ‘Heart & Soul’ and ‘Chopsticks’ on a giant floor piano. This is such a magical moment emphasizing the theme of the movie that we need to embrace the little things in life. There is even an almost tear-jerking ending that has Howard Shore’s sentimental score swelling up like a marshmallow in the microwave. Family movies aren’t made like they were in the 80s. These movies were fun and had a sense of innocence to them while still being mature and of a higher quality than the simple kids movies these days. Summary: Both Splash and Big are great light-hearted movies that are still enjoyable today and display great comedic timing from Tom Hanks early in his career. Big, in particular, is a movie that is way better than it has any right to be. Of the movies I’ve seen, Splash lands at #419 and Big is my #110.